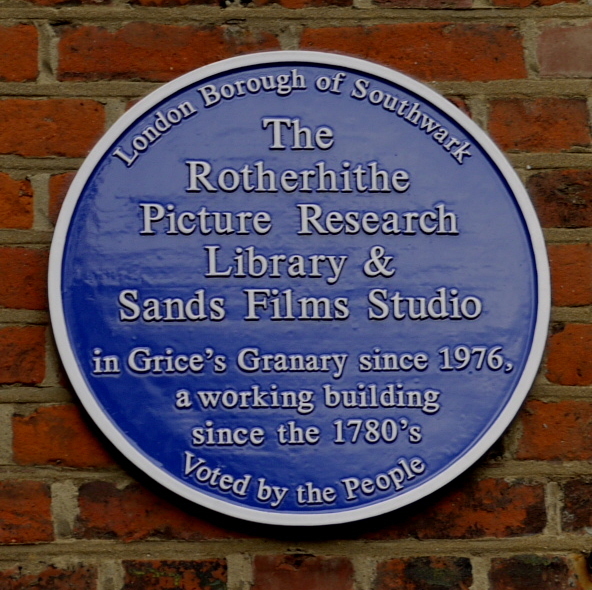 The Rotherhithe Picture Research Library & Sands Films Studios, in Grice's Granary since 1976, a working building since the 1780's. 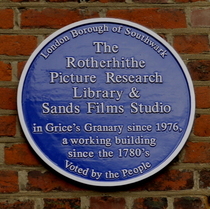 Plaque unveiled by Sir Derek Jacobi. Aged 11 Wallace was selling newspapers on this corner.